sleep apnea and those who were suffering from snoring. Snoring on it’s own is not associated with sleep apnea however, you should still visit a sleep center to make sure that you are not suffering from sleep apnea which is debilitating. The news is extremely promising for those who do snore. Australian researchers examined a group of 380 people of both genders and gave them a sleep apnea and snoring monitor devices. This device was then read at a clinic where the results suggested that snoring without sleep apnea does not necessarily cause an increased heart attack or risk of a stroke. 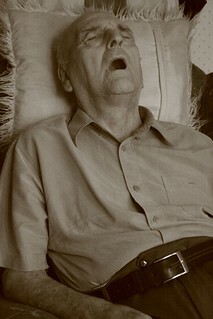 The Woolcock Institute and the University of Sydney Nursing school stated that just because we snore does not mean that we are going to have a decreased life span or mortality rate. However, sleep apnea does increase the chances of a heart attack, stroke, sleeping disorders, and overall mortality rates. If you suspect that you are suffering from snoring, waking yourself up at night and not getting the right amount of sleep that your body needs then you should definitely be tested for sleep apnea. The impact of snoring on your health is extremely important to your overall longevity. Because sleep apnea is life threatening then being aware that you do this should be cause for seeking out treatment or testing. It’s also extremely common with a diagnoses being give to one in five adults. It also can affect 3% percent of childcare.. The problem is that it collapses the airway when you are sleeping which of course will wake you up because the feeling is very like suffocating. If you suspect that you have any of these symptoms then seek treatment right away. The first visit will be easy, the doctor will evaluate your medical evaluation form and ask you detailed questions in order to understand your current conditions. Then they might give you a monitor to bring home or you might have to be sent to a sleep center that monitors your progress overnight. If you have been diagnosed with sleep apnea, Austin dentist, Dr. Dan Matthews may have a solution for you. Dr. Matthews offers sleep apnea treatment with oral appliances. Contact us today for complimentary consultation to see if we can assist you in treating your sleep apnea.